Significant price appreciation in master-planned communities versus stand alone buildings. 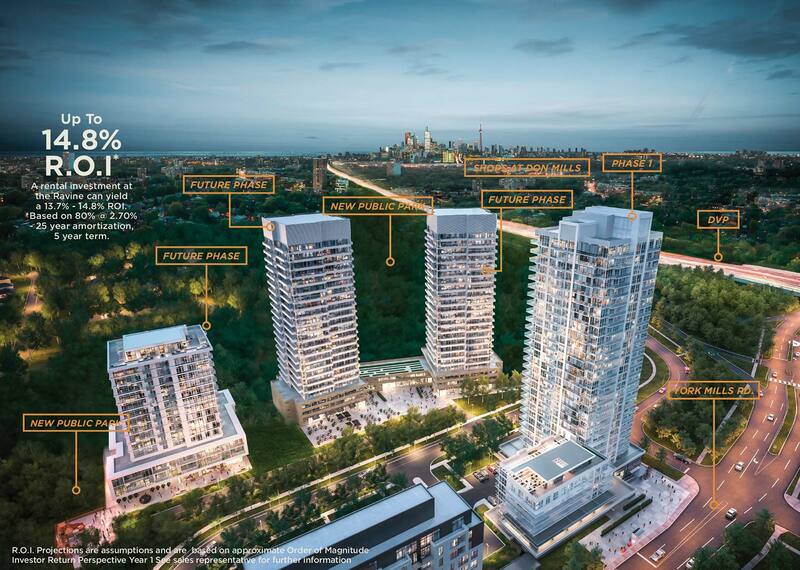 The Ravine will be home to 7 condo buildings with over 1600 units total. 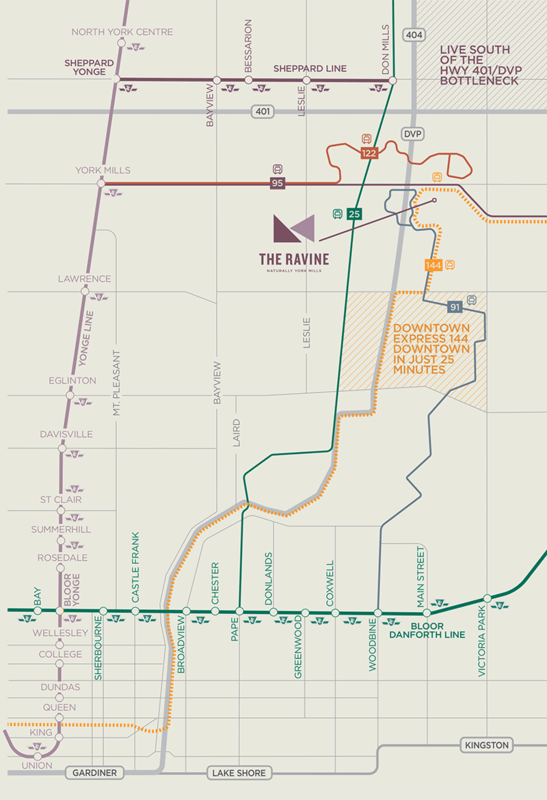 Downtown TTC Express, Shops, Restaurants, Golf, Community Centres, Schools and the Ravine Trail System, are all within 5 minutes of the site. Within the local area there are 11 post-secondary schools appealing to local and international students, and a mix of public and private institutions for all grade levels. Runs in the morning and evening rush hour. 20 minutes west to York Mills subway station by bus (10 minute drive). A strong economic area with a high demand for housing. 12,345 employees, 10 minute drive. 750 employees, 10 minute drive. 1279 employees, 10 minute drive. 3133 employees, 15 minute drive. 1403 employees, 5 minute drive. 897 employees, 10 minute drive. 420 employees, 10 minute drive.